Live and work in America’s Paradise in the Virgin Islands! 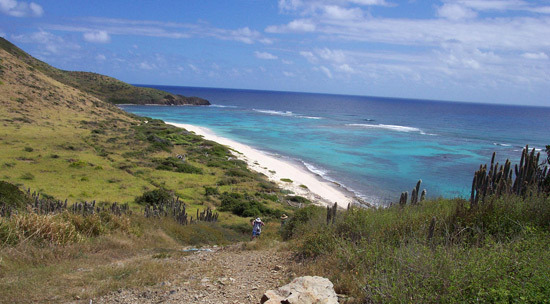 Just imagine furthering your health care career in St. Croix, the US Virgin Islands’ largest island, where the average temperature is in the 80s, tempered by pleasant ocean breezes. “The Hospital of Choice for the Caribbean,” Juan F. Luis Hospital and Medical Center is a 188 bed facility located in the heart of St. Croix, USVI and is dedicated to providing high quality healthcare to all people in a customer-friendly environment exemplified by all of its employees. While on assignment at this peaceful, tropical location, you will find that Worldwide Travel Staffing is dedicated to providing you with a great travel package and unmatchable benefits. St Croix offers everything you would expect from a Caribbean Island vacation… lush green hills, warm aquamarine water, beautiful beaches, fabulous weather, great dining and duty free shopping, incredible SCUBA diving, three golf courses, and a friendly Caribbean culture with a relaxed island experience. It is easy to travel here from the U.S. mainland. A passport is not required for U.S. citizens. Saint Croix is only a 30 minute flight from the international airport in San Juan, Puerto Rico and can also be reached by direct flights from the United States on American Airlines (through Miami) and US Air (through Charlotte) and Delta (through Atlanta).